Day of the Dead Day of the Dead Bobblehead Mariachi Guitarron Player. Hand painted resin, stands 6-3/8" tall. All that live must die, passing through nature to eternity. 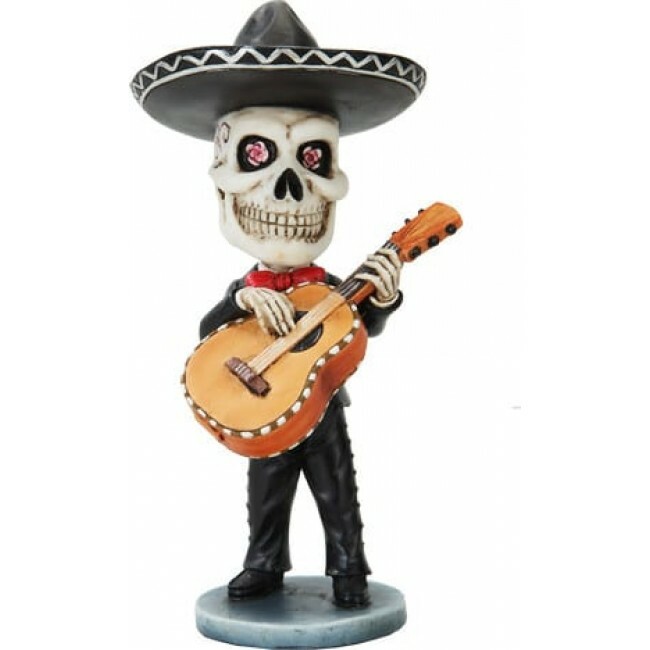 Rock on through eternity with the Day of the Dead Day of the Dead Bobblehead Mariachi Guitarron Player. Hand painted resin, stands 6-3/8" tall. Collect the full mariachi band!